The enforcement of the law on reserve and conscripted forces is necessary, National Assembly (NA) Standing Committee members agreed at the meeting yesterday. The law aims to build a high-quality force in charge to protect national security alongside the Viet Nam People’s Army. According to the Government’s proposal, an additional annual package of about VND545 billion (US$23.1 million) sourced from State budget will be spent on the forces, including investment in training and allowance for the families of people involved in the force. 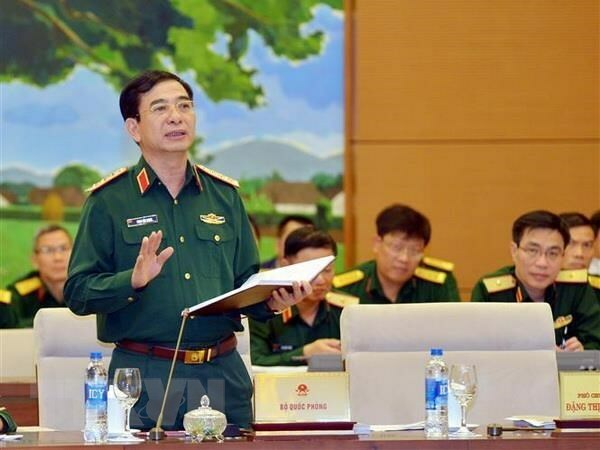 NA Vice Chairman Phung Quoc Hien said it was necessary to enforce preferential policies for the force. The law compiling committee needs to clarify regulations related to allowance and State budget spending on the force to ensure they are in line with the State budget. Hien recommended granting right of mobilising the force to provincial authorities instead of district authorities as proposed by the Government. NA Chairwoman Nguyen Thi Kim Ngan said regulations related to rights and responsibilities of citizens should be clarified in the law. After examination of NA’s Committee of National Defence and Security, the bill will be submitted to the NA’s seventh meeting to take place in May and June.